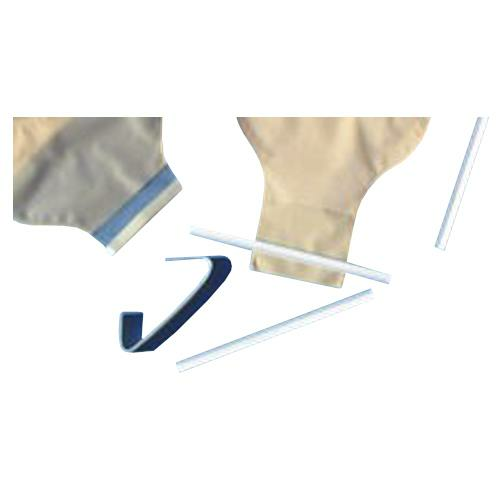 Cymed Peel and Stick Pouch Closures are thin and flexible. They can be totally removed when the user need to either cuff or clean the pouch. They are less likely to poke the user unexpectedly.